The 2018-2019 NCAA season is officially underway – catch up on all of our preseason coverage here. Eddie Reese and the Texas Longhorns have reloaded the roster for a run at a 5th consecutive NCAA title. Coming off a big summer, the versatile Andrew Seliskar could contend for NCAA titles in a wide array of events while contributing on any and all Golden Bear relays. Amy Bilquist will be of huge importance to the Golden Bears as she enters her senior season. All things considered, this IU team is stacked, and is a top 3 favorite with the potential to really explode and possibly rank even higher. 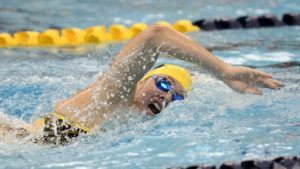 Senior Siobhan Haughey leads a Michigan team that has steadily risen through the NCAA ranks over the pas five seasons. Despite losing two individual NCAA champions, the NC State men return one of the most complete relay cores in the nation, as well as three swimmers capable making three A-finals each. We’ll be previewing the top 12 men’s and women’s programs from the 2017 NCAA Championships – stay tuned to our College Swimming Previews channel to catch all 24. 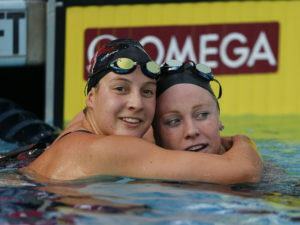 Can’t get enough college swimming news? Check out the College Preview issue of SwimSwam Magazine for some inside looks at the life of a college swimmer as told by college swimmers themselves, plus full-length profiles of a few of college swimming’s biggest names, including our cover athlete, Simone Manuel. We’ve tightened up our criteria from last year, where our first stab at a letter grading system got hit by a little bit of classic grade inflation. Again, bear in mind that all of these grades are projections more than 6 months out – and as none of us has a working crystal ball, these projections are very subjective and very likely to change over the course of the season. Disagreeing with specific grades is completely acceptable; furiously lashing out at a writer, commenter or specific athlete is not. Louisville banked on a senior-heavy class laden with talent, getting big NCAA performances out of several seniors, but nobody contributed more than Grigory Tarasevich. 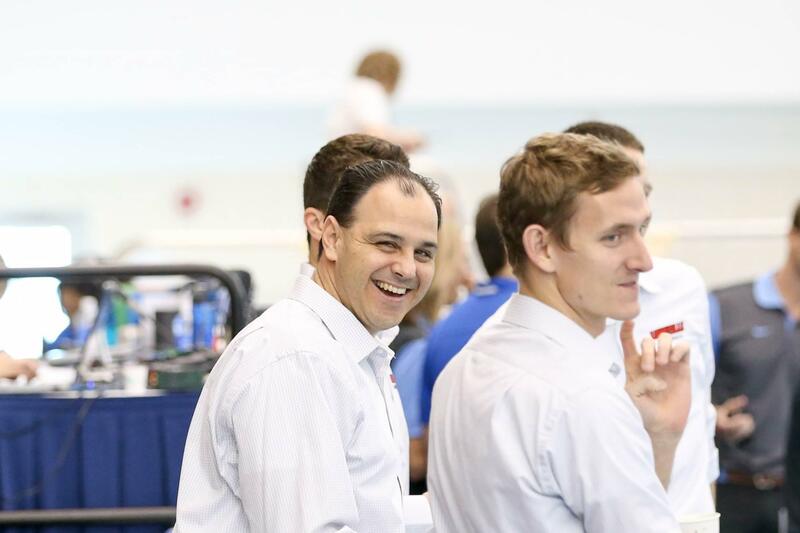 The Russian Tarasevich posted 26 points from only two individual events, the 100 and 200 back, A-finaling in both. 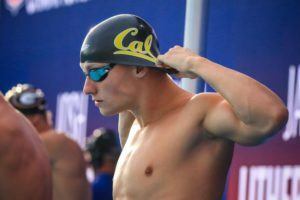 He, like Trevor Carroll, was a relay hero, subjecting himself to swim all five relays at NCAAs. Caroll chipped in a point with his 16th place finish in the 200 free, and Josh Quallen was another senior to add 2.5 points in the 100 fly and swim on 3 relays. As for the underclassmen, Zach Harting scored in the 200 fly and was a key relay piece, as was Carlos Claverie, who scored in both breaststrokes and was their go-to breaststroker for medley relays. 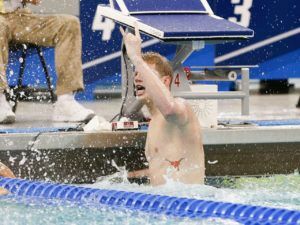 Louisville reloaded with an IM-heavy freshman class last year, which produced NCAA points from Etay Gurevich in the 400 IM. Freshman Andrej Barna was another instant contributor, swimming on the 200 free relay. Andrej Barna is a bright spot, and as an international used to swimming LCM, his second season with Louisville could certainly bring more development from him. That said, he’s only close to NCAA scoring in one event, the 50 free. Even considering that, his PR of 19.49 is over two tenths off of 16th in prelims at last year’s NCAA Champs, and the 50 free can be so hard to predict for anyone who isn’t a safe bet for the A final. Nick Albiero is a flyer, backstroker, and IM’er before a freestyler, but he’s been 20.2/44.4 in the sprint free, while he and Spencer Carl have been 1:36 in the 200 free. Considering 3/4 of the 800 free relay just graduated the freshmen will likely be joining Zach Harting on that relay immediately. Marcelo Acosta should be good for something in the ballpark of 6-10 points in the 1650 this year, if not more, and he’s a cusp scorer in the 500 free. 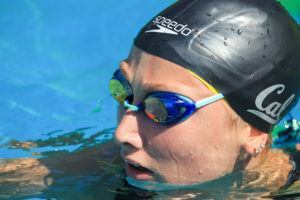 He finished 10th in the mile last year even though he added six seconds, so he could earn even more than 10 points if he swims up to his seed next season. It’s a similar story in the 500 free– had he gone his seed time, he’d have been less than a second from scoring in the B final. Past Acosta, there isn’t much security on the current roster. Freshman TC Smith brings in times of 1:39/4:23/15:09, a solid starting point for a high school distance specialist, but no other swimmers on the team offer significant distance strength past those two. Gurevich is a great 400 IMer who should score again next season. Other sophomores Keegan Foulke and Jarrett Jones are very strong in that race, too, as they finished 6th and 10th, respectively, at last year’s ACC Champs. There’s a 4IM base there for Louisville, but they don’t quite have it in the 200. Claverie has been 1:44.3, but like most pure breaststrokers, the 2IM tends to fall by the wayside for him– he didn’t race it at NCAAs last year. Albiero might be a quick fix here, as he’s been 1:45.6, making him one of the best IMers in his class. 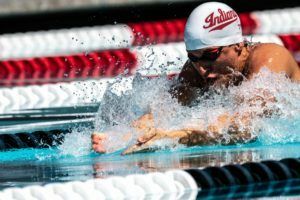 The 200 IM would be the most logical event for him on the first day of a champ meet, and he could develop into a weapon in this race with his speed in fly and back. Zach Harting is a surefire scorer in the 200 fly, and he could trend up into A final territory this year as a junior. He wasn’t far off scoring in the 100 fly last year, going 46.12 when it took a 45.87 to make the B final. Luckily for Harting, he’ll get two great training partners out of Albiero and Carl, and this is where the freshmen will really shine for the Cardinals. Albiero is nearly as fast as Harting already in the 100 (46.29 PR), and he’s strong in the 200 as well (1:43.53). Training under his father, Arthur Albiero, Nick could get scary good after one season with a college team. Meanwhile, Carl has had a very exciting trajectory of late. His senior year, he dropped his fly times from 48.1 to 47.6 in the 100 and 1:47.6 to 1:44.1 in the 200, his 200 improvements being the more impressive of the pair. These freshmen are very talented, and their development could do a lot of good in terms of picking up points lost from the now-departed class of 2017. 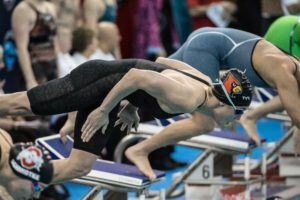 All three scoring swimmers in the backstrokes at ACCs for Louisville were seniors last year, which will leave the Cardinals scrambling to rebuild that part of their lineup. Tarasevich’s graduation is the hardest hit, as he was a double-A finalist in the backstrokes at NCAAs, as well as a key medley relay piece. This will leave a lot of pressure on N. Albiero’s shoulders, as his 47.2 lifetime best in the 100 back is looking like the best this team has right now. That won’t cut it at the NCAA level, and neither will his 1:45 in the 200. Claverie is the man here for Louisville, coming off of a 2017 NCAA meet that saw him place 5th in the 200 breast and 13th in the 100 breast. Unfortunately, there’s not much past Claverie. He’s a proven scorer, so there’s little concern as to whether or not he’ll bring in points at NCAAs– in all likelihood, he will. Jonathan Zoucha was 1:58 to win the C final of this event at ACCs last season, but that doesn’t make much of a dent on the NCAA scene. Meanwhile, freshman Michael Hampel shows some promise in the 100 breast (54.9). This Louisville team is frayed on the edges, and replacing their senior class from last year is going to be impossible this season. They do return NCAA scorers Harting, Acosta, Claverie, and Gurevich, and their freshmen have an opportunity to make a lot of noise as they’ll be thrust into leading roles in their NCAA debuts. Keep an eye on the butterfly group, which should be a key area of strength for the Cardinals.